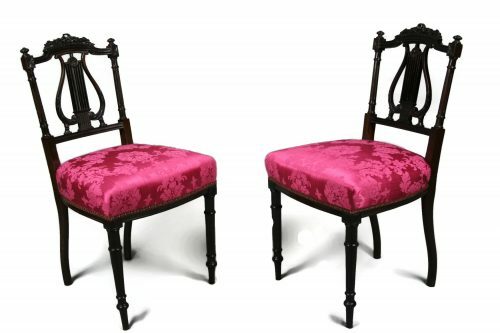 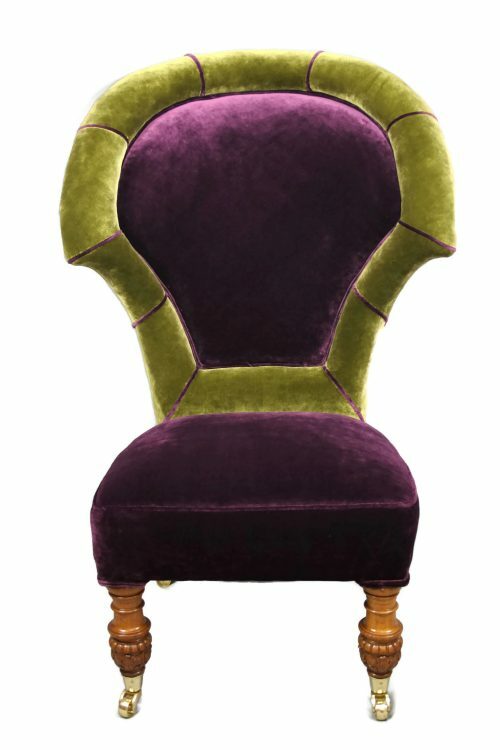 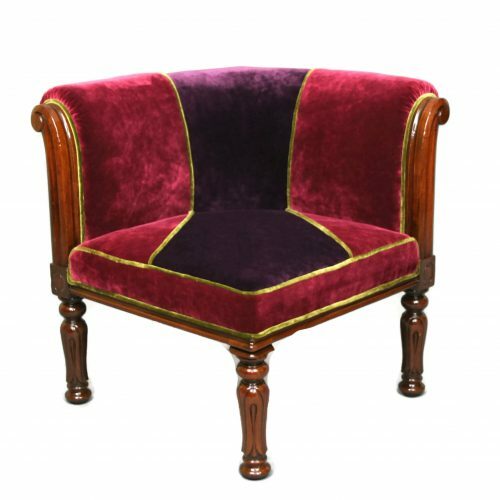 This small but extremely comfortable piece is covered in luxurious, almost shimmering Italian made gold velvet by Swaffer with purple piping. 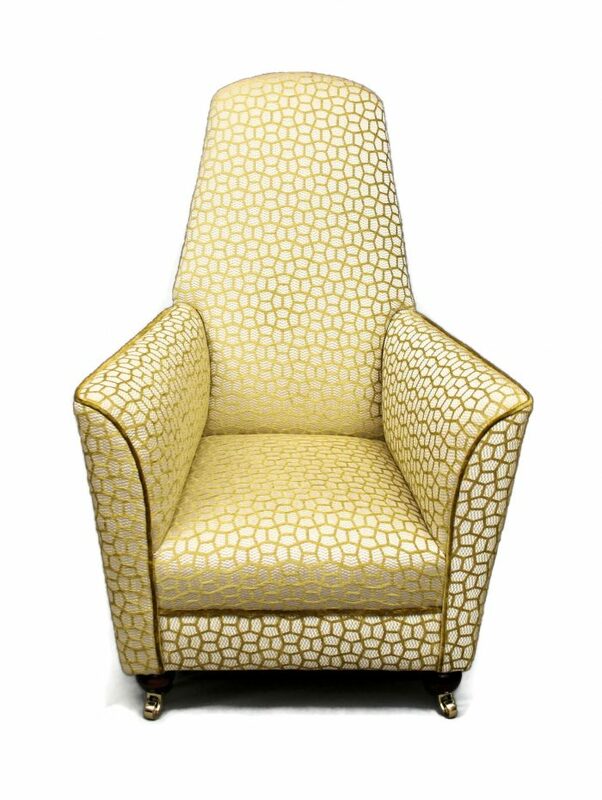 Set on birch bun legs with new brass casters. 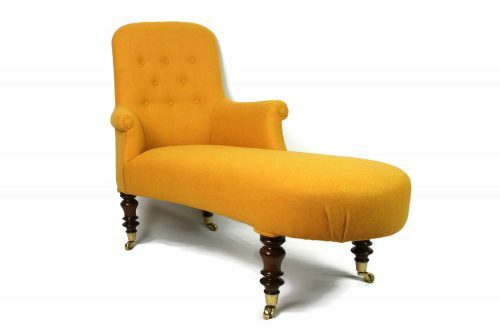 The patent number stamped in the leg is a sign of a good quality piece of furniture.